The LiftMagic website provides users with an idea of what they will look like after plastic surgery. Users upload a digital photograph of themselves, and then select the options. Once the user has made his or her selection, the "show me" button brings up an enhanced image showing the results. A similar idea is shown in the 1976 movie version of Logan's Run; take a look in the video below. 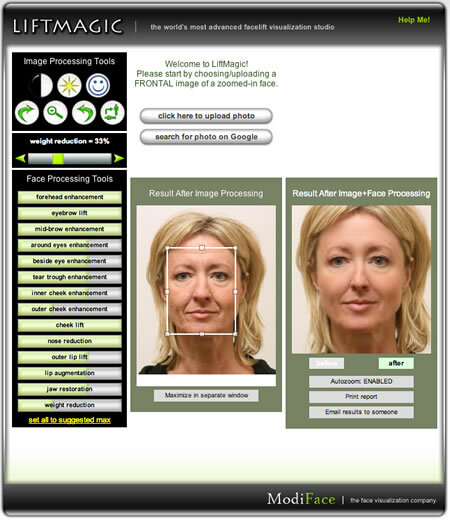 Via Website reveals how cosmetic surgery could change your looks at a touch of a button; thanks to Moira for submitting the tip and references.